2School of Mathematics and Information Science, Key Laboratory of Mathematics and Interdisciplinary Sciences of Guangdong Higher Education Institutes, Guangzhou University, Guangzhou 510006, China. Supplier selection is one of the most critical activities of purchasing management in a supply chain. Because selecting right suppliers helps reduce purchasing costs, improve quality of final products and services, etc. In a real situation, for a supplier selection problem, most of the input information is not known precisely, since decision making deal with human judgment and comprehension and its nature includes ambiguity. In fact, on the one hand, deterministic models cannot easily take this vagueness into account. In these cases, the theory of fuzzy sets is one of the best tools to handle uncertainty. On the other hand, Kumar et al. proposed a new approach to find the fuzzy optimal solution of fully fuzzy linear programming problem. So, using this approach in this paper, we present a new mixed integer multi objective linear programming model for supplier selection problem. Due to uncertainty of the data, in continuation, we present a new method to solve multi objective fully fuzzy mixed integer linear programming and implement the method to supplier selection problem. Computational results present the application of the method and the proposal solving method. Amid, A., Ghodsypour, S. H., & O’Brien, C. (2009). A weighted additive fuzzy multiobjective model for the supplier selection problem under price breaks in a supply chain. International journal of production economics, 121(2), 323-332. Yücel, A., & GüNeri, A. F. (2011). A weighted additive fuzzy programming approach for multi-criteria supplier selection. Expert systems with applications, 38(5), 6281-6286. Ozkok, B. A., & Tiryaki, F. (2011). A compensatory fuzzy approach to multi-objective linear supplier selection problem with multiple-item. Expert systems with applications, 38(9), 11363-11368. Cao, B. Y. (2010). Optimal models and methods with fuzzy quantities (Vol. 248). Berlin: Springer. Dahel, N. E. (2003). Vendor selection and order quantity allocation in volume discount environments. Supply chain management: an international journal, 8(4), 335-342. Adalı, E., Işık, A., & Kundakcı, K. (2016). An alternative approach based on Fuzzy PROMETHEE method for the supplier selection problem. Uncertain supply chain management, 4(3), 183-194. Jiménez, M., Arenas, M., Bilbao, A., & Rodrı, M. V. (2007). Linear programming with fuzzy parameters: an interactive method resolution. European journal of operational research, 177(3), 1599-1609. Kumar, A., Kaur, J., & Singh, P. (2010). Fuzzy optimal solution of fully fuzzy linear programming problems with inequality constraints. In j. Kuar & A. Kumar (Eds. ), An introduction to fuzzy linear programming problems: theory, methods and applications (pp. 77-108). Cham: Springer International Publishing. Kumar, M., Vrat, P., & Shankar, R. (2004). A fuzzy goal programming approach for vendor selection problem in a supply chain. Computers & industrial engineering, 46(1), 69-85. Mahdavi-Amiri, N., & Nasseri, S. H. (2007). Duality results and a dual simplex method for linear programming problems with trapezoidal fuzzy variables. Fuzzy sets and systems, 158(17), 1961-1978. Mahdavi-Amiri, N., Nasseri, S. H., & Yazdani, A. (2009). Fuzzy primal simplex algorithms for solving fuzzy linear programming problems. Iranian journal of operations research, 1(2), 68-84. Díaz-Madroñero, M., Peidro, D., & Vasant, P. (2010). Vendor selection problem by using an interactive fuzzy multi-objective approach with modified S-curve membership functions. Computers & mathematics with applications, 60(4), 1038-1048. Nasseri, S. H., & Ebrahimnejad, A. (2010). A fuzzy dual simplex method for fuzzy number linear programming problem. Advances in fuzzy sets and systems, 5(2), 81-95. Nasseri, S. H., & Ebrahimnejad, A. (2010). A fuzzy primal simplex algorithm and its application for solving flexible linear programming problems. 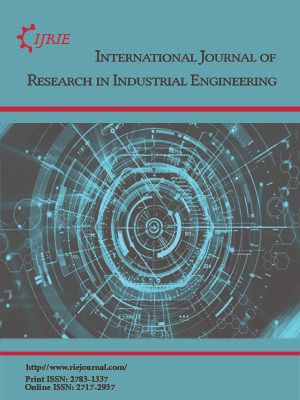 European journal of industrial engineering, 4(3), 372-389. Nasseri, S. H., & Mahdavi-Amiri, N. (2009). Some duality results on linear programming problems with symmetric fuzzy numbers. Fuzzy information and engineering, 1(1), 59-66. Saen, R. F. (2007). Suppliers selection in the presence of both cardinal and ordinal data. European journal of operational research, 183(2), 741-747. Wang, T. Y., & Yang, Y. H. (2009). A fuzzy model for supplier selection in quantity discount environments. Expert systems with applications, 36(10), 12179-12187. Torabi, S. A., & Hassini, E. (2008). An interactive possibilistic programming approach for multiple objective supply chain master planning. Fuzzy sets and systems, 159(2), 193-214. Xia, W., & Wu, Z. (2007). Supplier selection with multiple criteria in volume discount environments. Omega, 35(5), 494-504. Wang, G., Hang, S. H., & Dismukes, J. P. (2004). Product-driven supply chain selection using integrated multi-criteria decision making methodology. International journal of production economics, 91(1), 115.